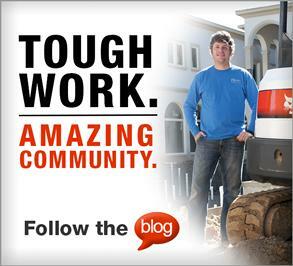 The old saying goes: “It takes money to make money.” There’s a similar motto that applies to construction equipment: It takes the right tools and attachments to grow a business. If your company has already invested in a skid-steer loader or compact track loader, then you’re already strategically positioned to expand your operation. A well-paired attachment for one of these machines can improve versatility, create more project control, delay the purchase of a dedicated piece of equipment and — more importantly — open up new revenue sources. 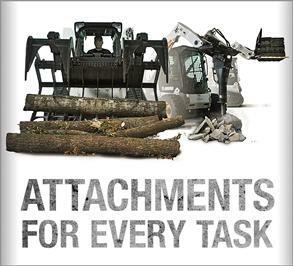 Attachments can allow contractors to maximize existing machine assets for more than one purpose in a wide variety of applications. Many businesses are finding success shifting away from offering specialized services. They are adding well-chosen attachments to expand their capabilities, allowing them to compete for work in a variety of applications — from utilities and excavation to concrete work and seasonal snow removal. For instance, an additional attachment or two could allow you to complete a key task that was previously subcontracted. An attachment can provide you with the ability to do work that may be scheduled one or two weeks ahead or after a contractor’s standard part of the project. 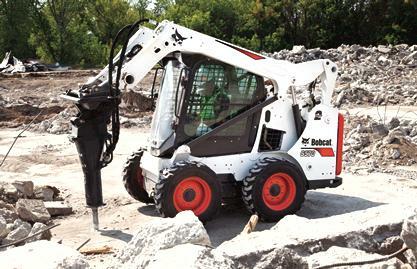 While augers and hydraulic breakers are two of the most highly demanded attachments for construction contractors, some manufacturers offer more than 70 attachments for compact loaders that can create distinct advantages in today’s competitive market. A utility contracting firm with a skid-steer or compact track loader likely already owns a trencher attachment and may complement its fleet with a planer, hydraulic breaker or wheel saw to assist with installations through concrete or asphalt. An asphalt paving contractor that focuses on the installation of streets, highways, bridge approaches and parking lots can complement its planer and wheel saw attachments with cleanup tools. An angle broom is a handy attachment that can windrow millings in one direction so the material can either be picked up with a bucket or removed by a sweeper attachment. When considering whether to take on new work, attachments can provide more versatility and profitability for the dollar compared to some other equipment acquisitions. With some manufacturers’ attachments, compatibility extends across loader lines for greater efficiencies and economies of scale. 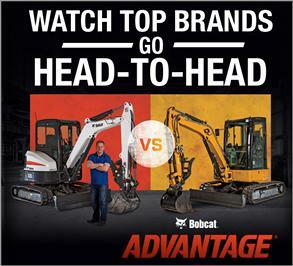 Some have also been designed to vertically integrate with the machine’s electronics and hydraulics. While each type of loader has its own set of performance benefits in certain conditions, some of today’s attachments are interchangeable to provide flexibility and convenience for an equipment fleet that needs to be responsive to multiple jobsites. 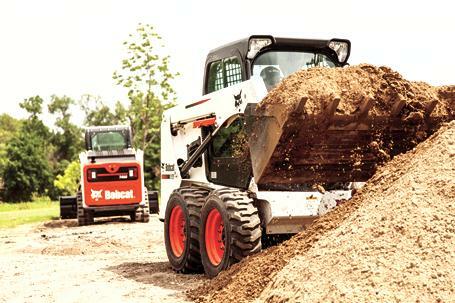 To exchange a bucket with a pallet fork, landscape rake, auger, grapple and more on a skid-steer loader, most machines offer quick-tach systems. Some manufacturers even offer an option that allows operators to make non-hydraulic attachment changes without leaving the cab. With the ability to tailor your capital investments to secure a greater share of construction work, attachments can empower even the most conservative entrepreneurs to explore new revenue sources. That makes good financial sense in any competitive market.